born out of the idea of recognizing excellence in projects carried out throughout the past academic year, milan’s NABA nuova accademia di belle arti has created the NABA design award. held at la triennale theatre, the ceremony highlighted projects in 11 different categories which were judged by a jury of experts composed of antonella andriani – vice president of ADI lombardia, giovanna castiglioni – vice president of the achille foundation castiglioni, francesca taroni – director in charge of lving, juliana neira – editor of designboom and chaired by italo rota – scientific advisor of NABA. the winner of best project of the year was alessandro ambrosini — graduate of the three-year degree in design — who unanimously won the jury of experts. 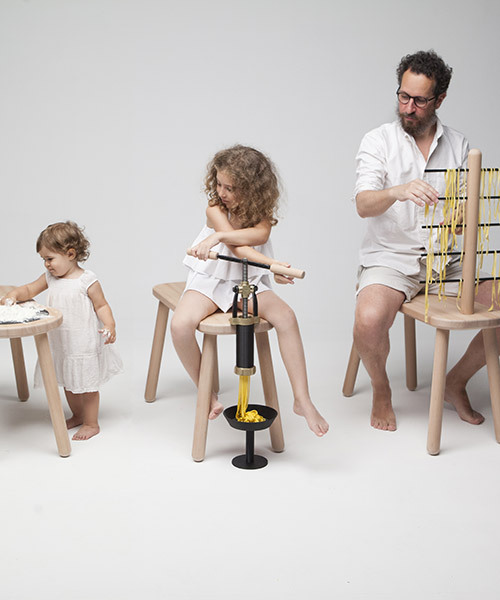 dubbed ‘mani in pasta’ (hands in dough), the project is a tribute to pasta-making process, exalting the time and care this activity requires. ambrosini’s intention is to bring back the attention, especially of young people, to manual art and to care and patience, two important qualities we often tend to forget. two of our favorite projects tackled the idea of waste and how can we transform it into something useful. ‘ohana’ by elisa gatti is a surfboard that recollects plastic waste from the ocean, crashes it and uses it to create an extra grip layer on the board. the plastic pieces can be seen on the parallel blue lines on the surfboard on the picture above. 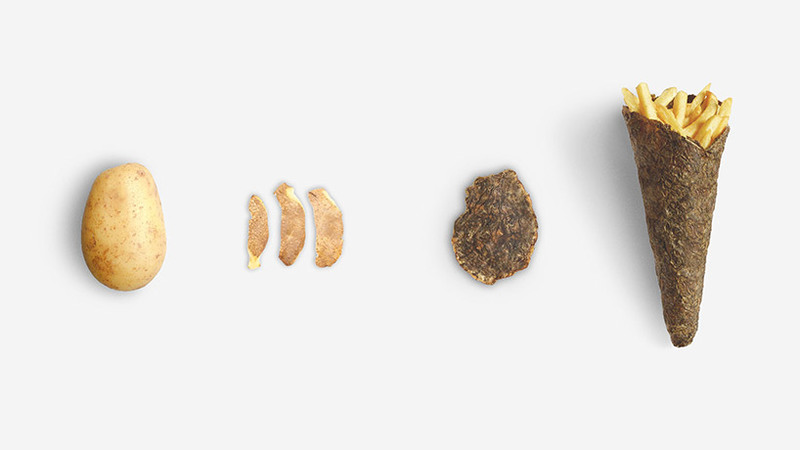 the other project addressing this issue is ‘peel saver’ by simone caronni, pietro gaeli and paolo stefano gentile that reuses an organic waste material — in this case the potato’s skin — to create a 100% biodegradable street food packaging. 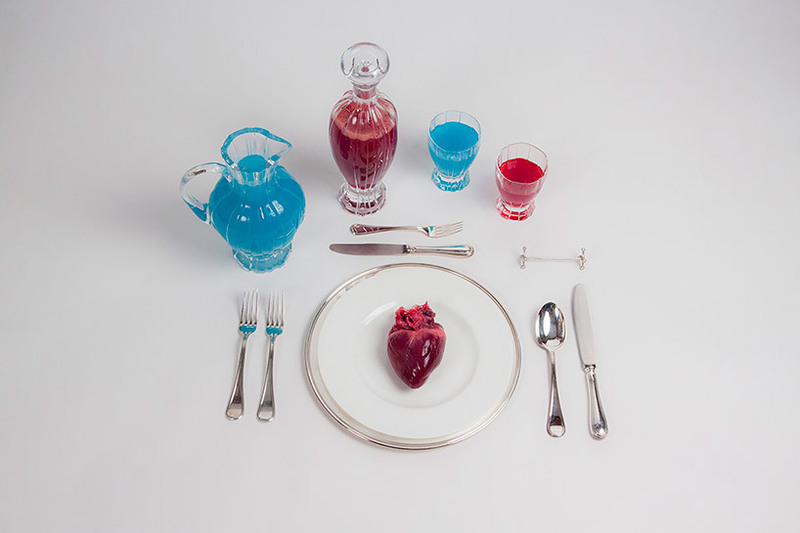 for the best photograph category, ‘still life’ by giorgia salamanca and edoardo trombin won the prize, where the representation of an object inserted into a completely different scenario diverted it from its common meaning. 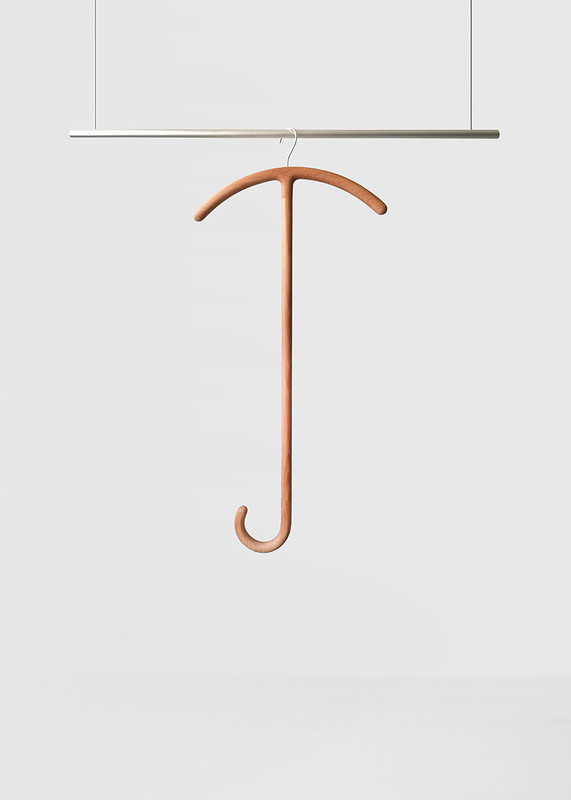 for the best product ex aequo award, ‘pluie’, designed by luca vernieri, won the prize featuring a clothes hanger with an umbrella stick, perfect to reach high zones of any closet. 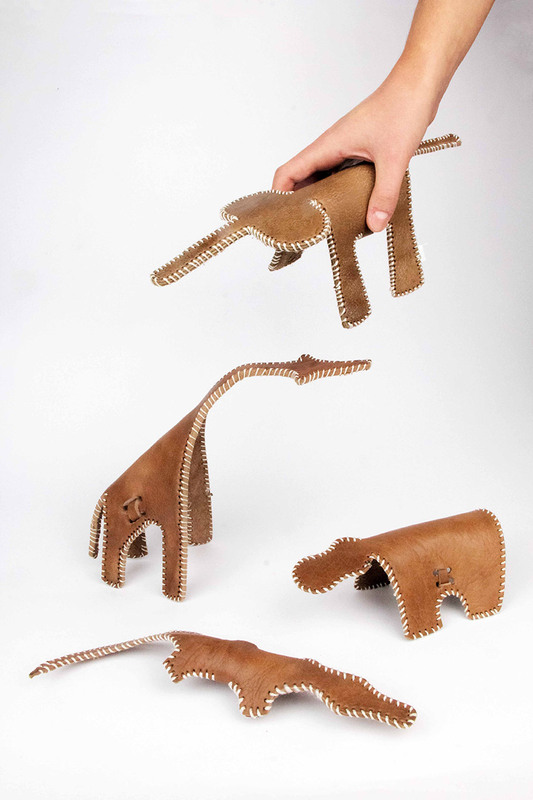 ‘terra’ by alice andrea cappelli, margot silvestrini and elena tamburini, was the other winner, with a project carried out in tanzania supporting the local community and consisting in the creation of objects of furniture and souvenirs starting from a simple outline in leather. you can read more about this project on designboom here. 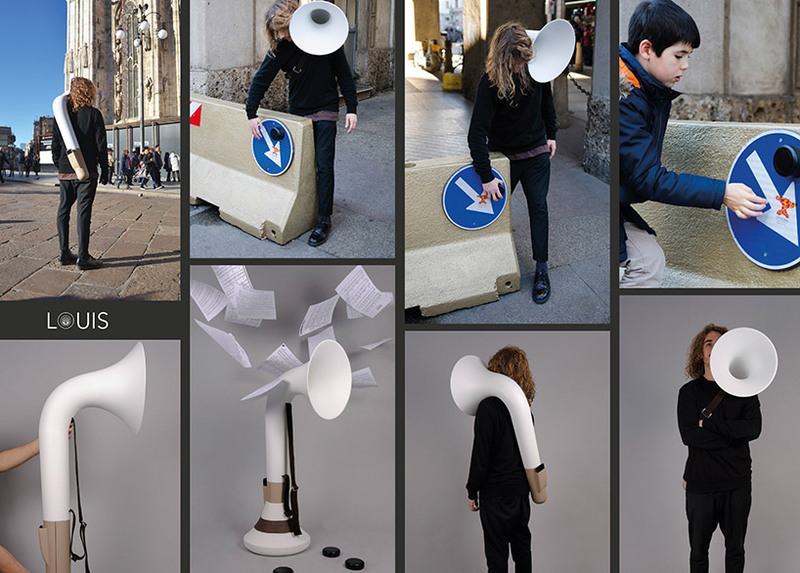 best product design thesis was awarded to ‘louis, a shared note’ by matteo brasili — an innovative musical instrument capable of reproducing different types of sounds through surface contact. 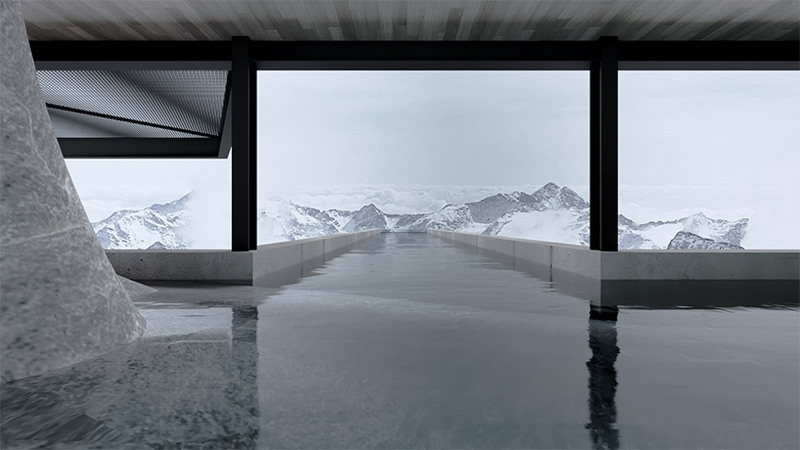 ‘roots’ by davide d’ambrogio, a utopian space designed at 3,500 meters above sea level. 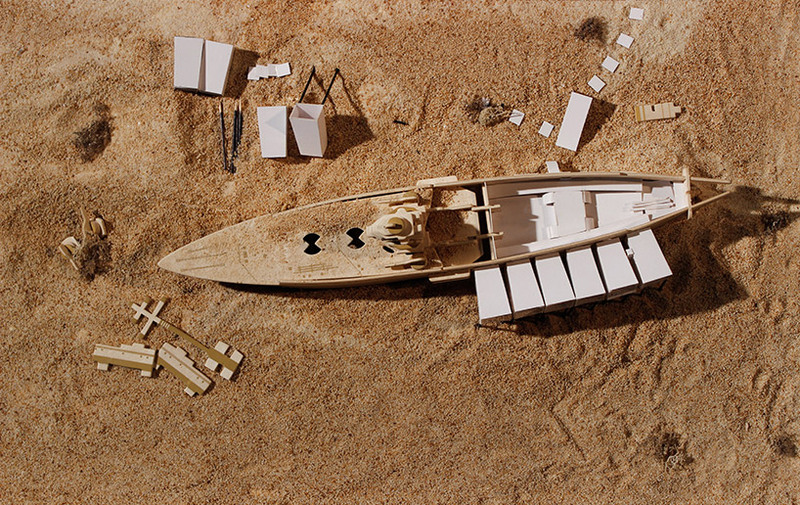 designed by roberta monterisi, eleonora novati, and lisa hu, ‘shipwreck’ is a project that transformed the wreckage of a ship into a hotel using modular multi-purpose units.